Ask the general public to name an alpine skiing “Mecca” — described as a location where people, who share a common interest, yearn to go — even those who don’t ski can come up with at least Aspen or Vail, if not Killington and Sun Valley. But mention the Gunflint Trail or the Methow Valley to skiers and you’ll elicit a blank stare. Yet these are just two of several cross country (XC) skiing destination resorts that devout XC skiers revere. According to XCSkiResorts.com, the following five regions are definitely an “XC skiing Mecca” — each one, a destination that all traveling XC skiers have put on their “must visit” list. New Hampshire – Comprising the small, picturesque towns of Conway, Sugar Hill, Bartlett and Jackson in the heart of New Hampshire’s White Mountains, the Mount Washington Valley has a half-dozen XC ski areas, all at the base of the most majestic mountain in the eastern U.S., the 6,288-foot Mt. Washington. 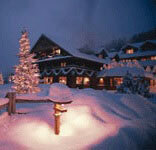 Here, the spectacular scenery is enhanced by hundreds of inns, lodges and restaurants, plus unsurpassed outlet shopping. Ski past mountain streams, a white steepled church, or over a wooden covered bridge on the network of 150 kilometers (km) of trails that glide past numerous inns and stores and through the woods in Jackson Village. Up in Pinkham Notch, Great Glen Trails Outdoor Center features 40 km of trails for cross country or snowshoeing and the more adventurous can take a snowcoach up the Mt. 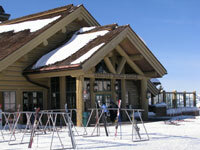 Washington Toll Road to unparalleled views and then make the choice to ski, snowshoe or ride the coach down. On the other side of Mt. Washington, Bretton Woods Nordic Center has its Mountain Road Trail, a 7-km downhill thrill that might be the most fun to be had on XC skis in all of New England. Franconia Inn is tucked away but is known for great cuisine in the evening and more than 50 km of trails. Stowe Vermont – The Hills are Alive -The “Sound of Music” is more 50 years old and another Stowe Trapp Family Lodgeproduction by the Von Trapp family, America’s first XC ski center at the Trapp Family Lodge in Stowe, Vermont is just two years younger. Nestled beside Mt. Mansfield, Vermont’s highest peak, the lodge is among the most famous and diverse XC ski trail networks in the country. Three Stowe XC ski areas interconnect to provide roughly 150 kilometers of groomed trails, and there’s a link to backcountry ski 14 km to Bolton Valley Nordic Center via the Catamount Trail. Plus, with the variety of trails for snowshoeing around Stowe, it’s no surprise that it is seen as the quintessential New England village. 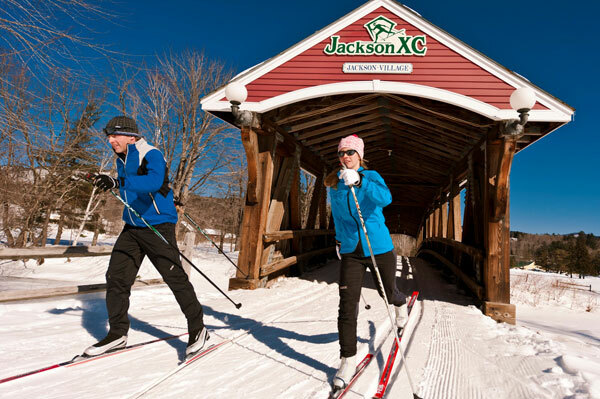 Don’t miss the Vermont Ski Museum in downtown Stowe or the Ben & Jerry’s Ice Cream headquarters (most popular attraction in the state) in nearby Waterbury, Vt.
Scandinavians settled by the thousands in Minnesota so it stands to reason that their national sport, cross country skiing, would abound in the state. The trails in northeastern Minnesota near Grand Marais offer more than 200 kilometers of groomed trails in the Laurentian Highlands adjacent to the Boundary Waters Canoe Area Wilderness. Here, XC skiers enjoy moose yards, overlook ridges, old trapper trails and railroad beds. The Gunflint attractions include extensive stands of white birch, spruce, and aspen and spectacular cliffs. Of course, in the land of 10,000 lakes there’s a multitude of frozen lakes and there is also a great chance that visitors in northern Minnesota will see the oscillating luminary curtains in the evening sky known as the Northern Lights. Perfect for those wanting to get away from it all, this area is less populated than other XC meccas and the region is sprinkled with many isolated lodges, bed and breakfast inns, and lakefront cabins. And count on hearing the distant howls of timber wolves. More than 70 years as a winter sports destination, the Sun Valley Idaho area was developed by railroad mogul, W. Averell Harriman to attract train travelers. Known for its posh alpine skiing, the area also features more than 160 kilometers of trails and now it touts itself as “Nordic Town USA.” The North Valley Trails run from the Galena Lodge back to town along the river. Expect to see colorful performance striders and skaters alongside snowshoers out walking the dog on this popular avenue. The Methow Valley in northwest Washington on the eastern slope of the North Cascade Mountains is one of the best kept secrets among XC skiers. A network of 200 kilometers of groomed trails for classic and skate skiing combines at Methow Trails with lodges like Sun Mountain Lodge and warming huts along the trails, which are surrounded by more than a million acres of national wilderness and forest lands. Fat biking has caught on in the Methow region, and there are miles of trails dedicated to these two wheeled snow bikers. Snowfall here is not only plentiful, it is also dry thanks to the moisture traveling across 100 miles of mountains from the Pacific Ocean to get to Methow. And after the snow arrives, a crystal blue sky almost always follows revealing the incredible scenic mountain panoramas. Located only 2,000 feet above sea level, this 40-mile-long XC skiing valley requires no altitude acclimation. Start your own list of “must visit” XC ski destinations, see our tips on getting your kids cross-country skiing, and go to XCSkiResorts.com to explore the many choices and then make some reservations for your next winter adventure. Content by Roger Lohr, Editor XC Ski Resorts.